View the entire table of contents for the April 30, 2002 issue. The eighth annual Harvest Auction, held on Dec. 1, 2001, raised over $200,000 for The Collins School of Hospitality Management at California State Polytechnic University, Pomona. The live auction brought in $98,400, while the silent auction raised $60,000. 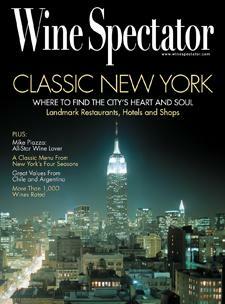 For the full article, check out the new issue of Wine Spectator, on newsstands April 30, 2002.